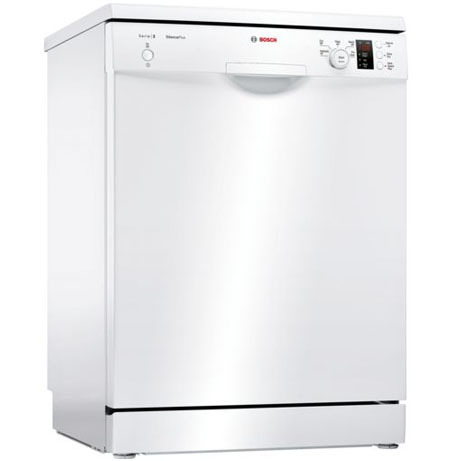 This Bosch Dishwasher combines style with excellent performance, this white dishwasher from Bosch is a great choice. 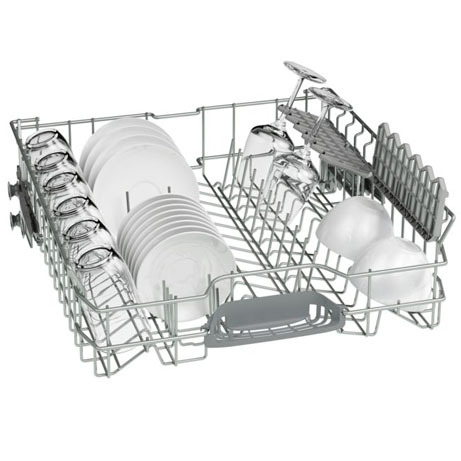 It can clean 13 place settings at once, so it’s ideal for medium-sized households. 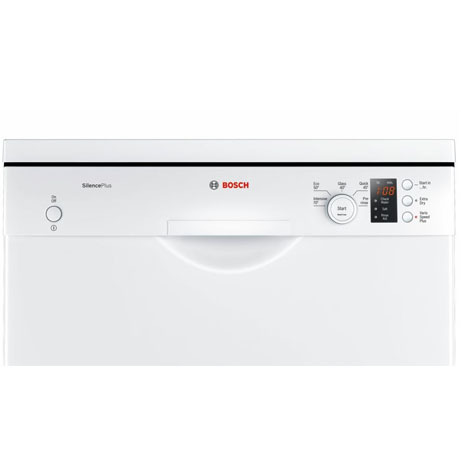 The clever VarioSpeed Plus option will wash your dishes 3 times faster than standard cycles, and the handy 60 minute quick wash helps you to tackle the washing up when you need dinnerware in a hurry. 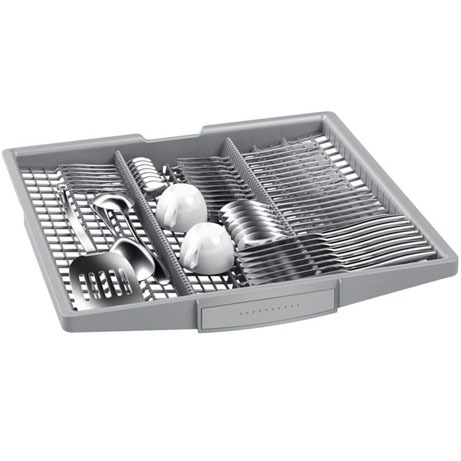 The clever ExtraDry function will help to get every dish – including plastic items perfectly dry – so you’ll be able to use them straight from the dishwasher. 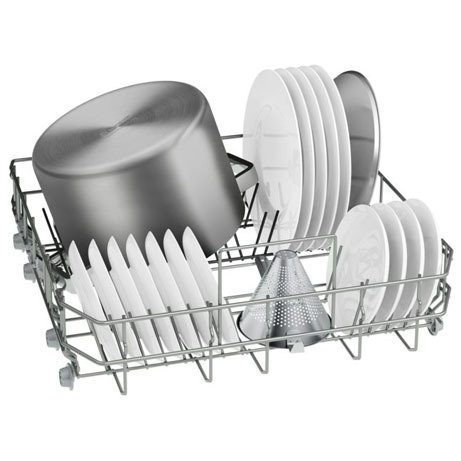 Thanks to the triple Rackmatic system, the height of the top basket can easily be adjusted by up to 5 cm. And you can do this when it’s fully loaded. 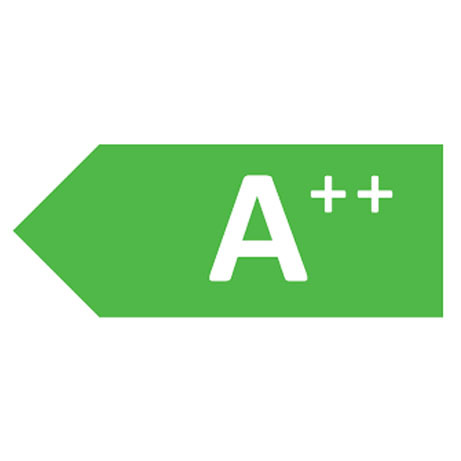 That means even more adjustment options and thus maximum flexibility.